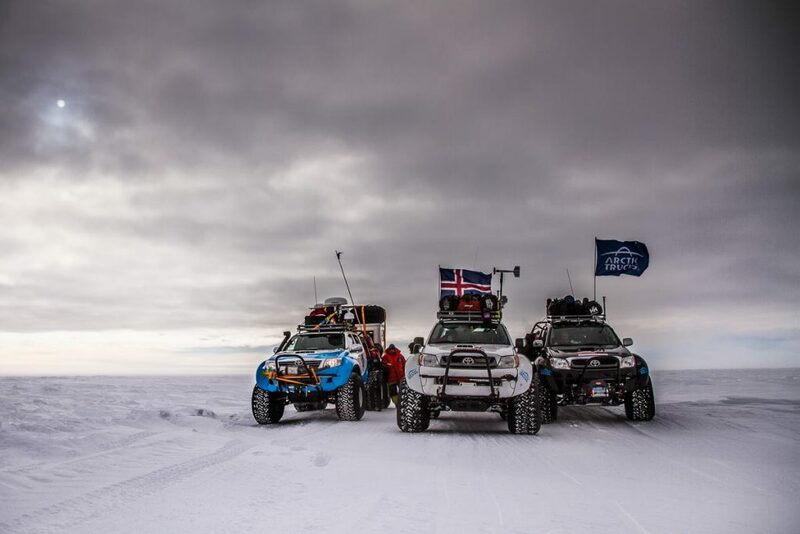 Arctic Trucks are an Icelandic company who have been involved in both Antarctic expeditions that I have been on. They take Toyota Hilux’s and strip them down before building them up again into an impressive 4×4 or even 6×6 vehicle. These vehicles are making Antarctic logistics much less expensive and fuel-efficient. They also made the Toyota that Jeremy Clarkson famously drove to the Magnetic North Pole. Here we met two trucks that had just finished the Walking with the Wounded expedition and that brought us the fuel we needed the finish our own expedition.